The word "gothic" was being used to describe particular rock bands long before what we think of as goth music was ever a scene. It was applied to The Doors in the late '60s, referring to the gloomy atmosphere of their sound. Critics have retroactively given the adjective to The Velvet Underground as well, referring to their dark, droning sound that was certainly influential to later, for-reals goth artists. So, like so much of what gothic literature and cinema had become in the '60s and '70s, the term as applied to music was first used as a description of mood, not themes. That changed though as the psychedelic experimentation of The Doors and The Velvet Underground devolved into the rawer play of the punk scene, which then reconstituted into the post-punk movement that begat goth. 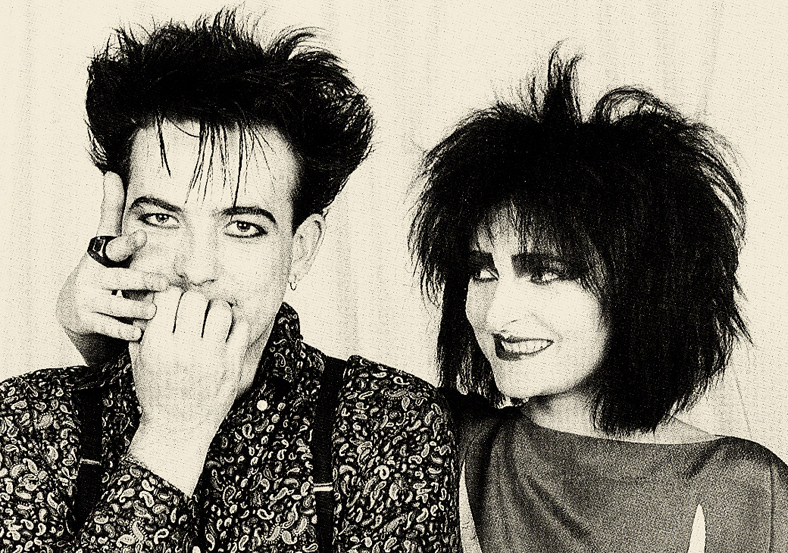 By the '80s, bands like The Cure, Siouxsie and the Banshees, Joy Division, and Bauhaus had set up shop in a dark, foggy corner of the post-punk landscape. From there they gave birth to groups like Flesh for Lulu, Gene Loves Jezebel, and the Cocteau Twins. The punks had been all about getting in your face with the revolution, man, but goth bands turned inward. They married atmospheric music to introspective lyrics as they wrestled with mysticism, religion, and death. In that sense, a lot of goth musicians got back to the original meaning of gothic romance. They were fascinated with decay: both society's and their own. But they sang about these ancient troubles from a romantic perspective, finding beauty in the darkness like Belle in the castle of the Beast. I haven't kept up with the goth scene and I've never adopted goth fashions, but I'm still a huge fan of goth music, especially the stuff I discovered as a kid. Here are some of my favorites.